THE WRITING BUDDHA - Opinions | Books | Movies: Man vs Wife by Ashish Srivastava (Book Preview) !!! 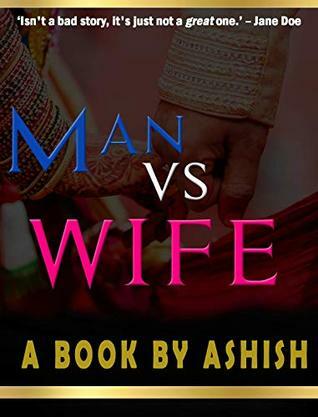 Man vs Wife by Ashish Srivastava (Book Preview) !!! The story is a sweet and sour narrative of a young, impulsive IT professional who wants to divorce his wife. Having come across the draconian Indian laws highly biased in favor of his wife, he teams up with a middle-aged struggling lawyer willing to go to any extent for greed. The lawyer advises the husband to break the seven vows of marriage one by one, so that his wife starts hating him and agrees for mutual consent route, even before they decide to go for a contested divorce. Will this husband be able to break the seven vows of marriage, at last? And the greedy lawyer... will he be successful to break this marriage off?